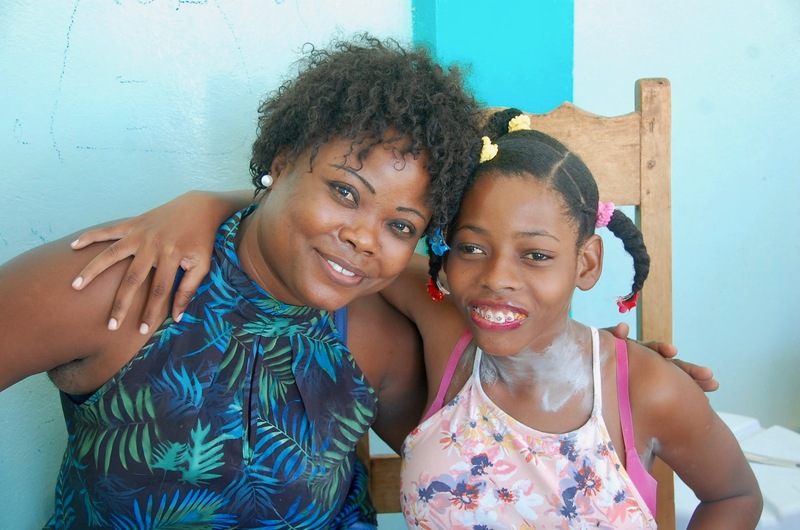 Each week, Heartline’s outreach team has the great honor of visiting a local orphanage where children with disabilities live. They worship, pray, and share bread baked at Heartline’s Beltis Bakery with the children and staff. 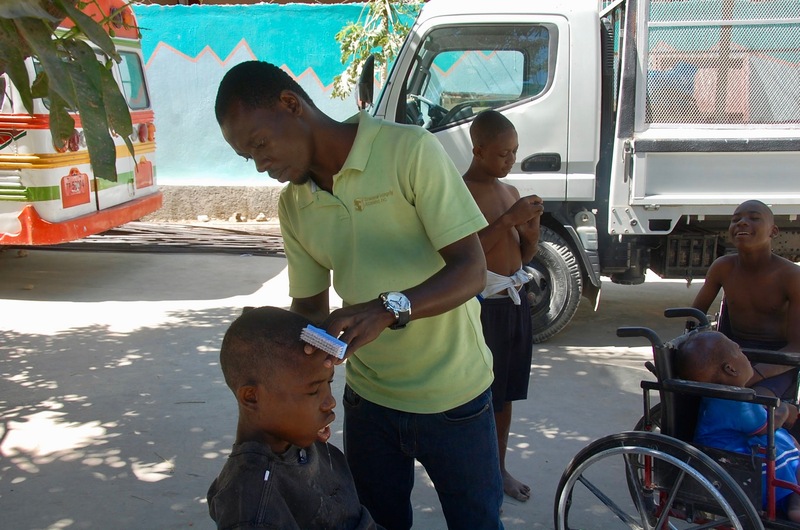 In February, the Men’s Ministry group and students from the Women’s Education Center cosmetology class joined together to shower the children with extra love and tender care. 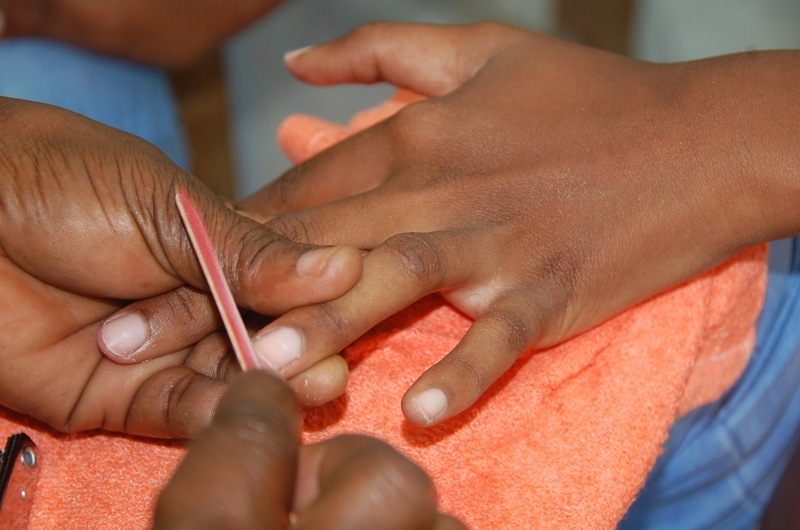 They volunteered to wash the children, cut and braid their hair, and provide manicures and pedicures. As the day’s activities got underway, the orphanage overflowed with laughter and excitement. The children enthusiastically sang, worshipped, and prayed. Colorful ribbons and barrettes were added to carefully braided hair. Little girls giggled at the individual attention. Sheepish grins spread across the boys’ faces as the team gently cut their hair. Hands tenderly held and massaged little feet. The children’s eyes sparkled as they received these simple acts of love. Reflecting on the day’s activities, it was clear that those who set out to serve others had received a blessing beyond what they could have imagined. 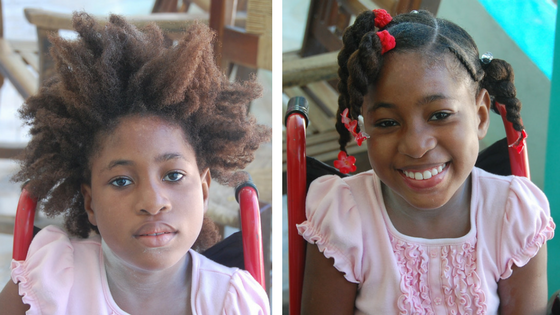 The Heartline outreach team visits the orphanage each week to extend compassionate care. We desire for each of these young people to know their unsurpassable value as a beloved child of God. 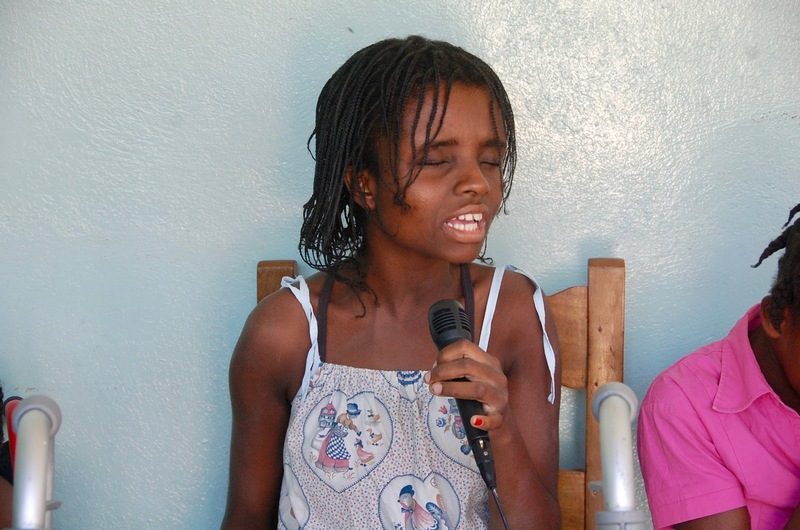 Your support of Heartline makes these outreach opportunities possible. 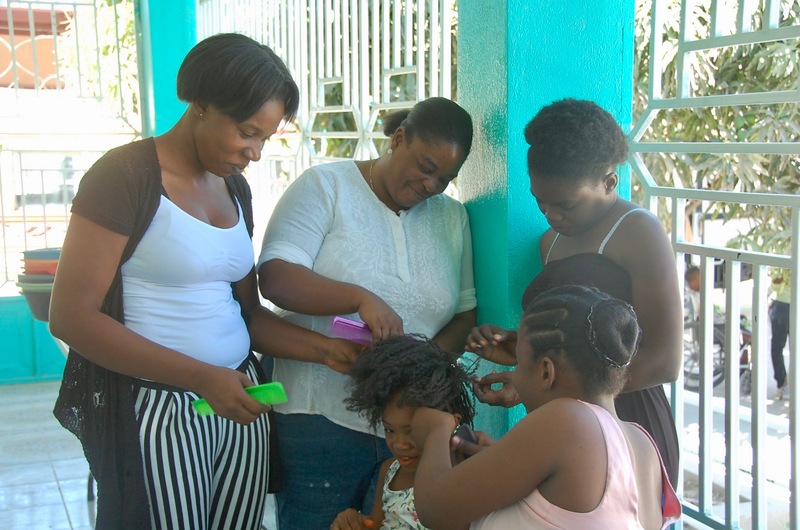 Thank you for standing with Haitian men and women as they follow Jesus and serve others in their community! What a deep privilege and honor it was to join with Heartline ministry on one of their visits to this orphanage. The children were so receptive to the love and message of God. The children’s prayer, devotion and singing for the glory of God was an experience that is seated into my heart. We came away from that visit knowing we had held the very Hand of God. Thank you a Heartline ministry! Bless you! Elaine – We were so blessed to have you with us! Thank you for sharing this beautiful memory – what a perfect way to describe the experience of worshipping with these precious children.